Steganos Privacy Suite normally cost $59.95 for purchase. As part of promotional offer, the company is giving away free genuine license of Steganos Privacy Suite to everyone at no cost. Visit to the promo page HERE. Enter an email address and then click “Seriennummer anfordern” (Request Serial number) button. An email from Steganos will be sent to a specified email address. Click the confirmation link in email to receive license code or serial number. 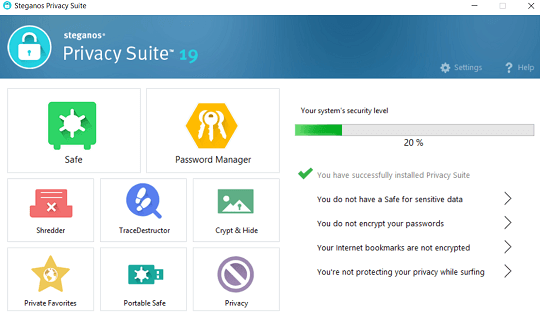 Download and install the Steganos Privacy Suite on PC. Launch the software and click “I have a serial number” to enter receive license key and activate the software.